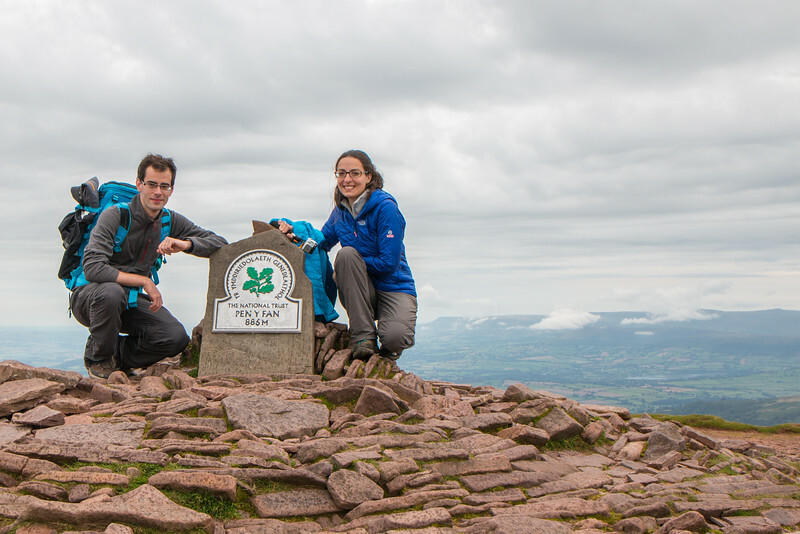 Hiking is one of our favourite activities and when on our week-long visit to Wales last Summer we had the opportunity to tackle one of the country’s most recognised mountain peaks – Pen y Fan. 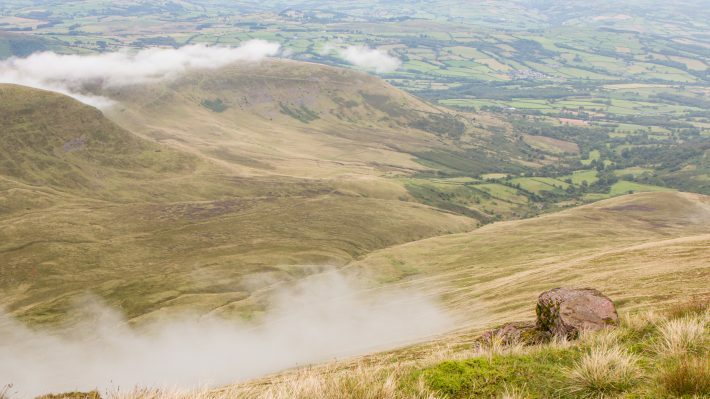 At 886m, Pen y Fan is not very high, yet the magnificent views over to the rest of the mountains of Brecon Beacons National Park make this relatively short and not so strenuous hike a popular one, rivalling with the northern mountain of Snowdon. 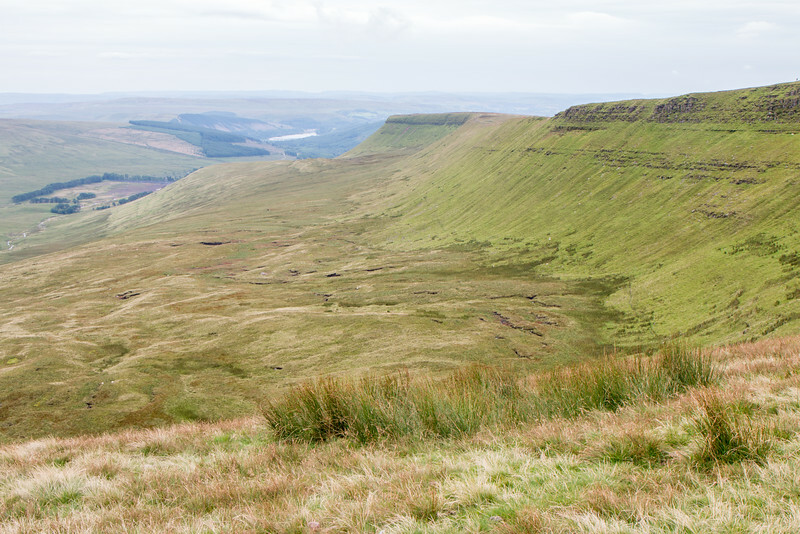 Pen y Fan is southern Britain’s highest mountain. 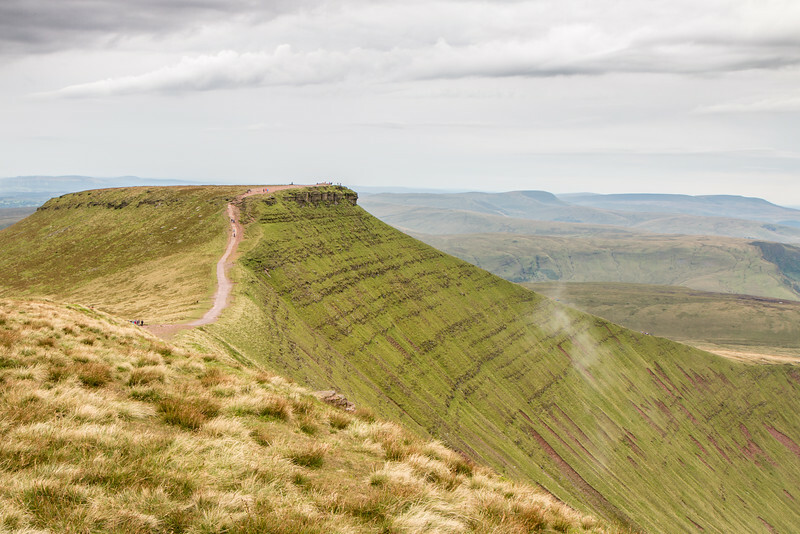 A visit to Pen y Fan is not complete without visiting Corn Du, the twin neighbour standing a mere 13m below it. Both summits were used as burial places in the Bronze Age. Let’s see how this hike looks like. 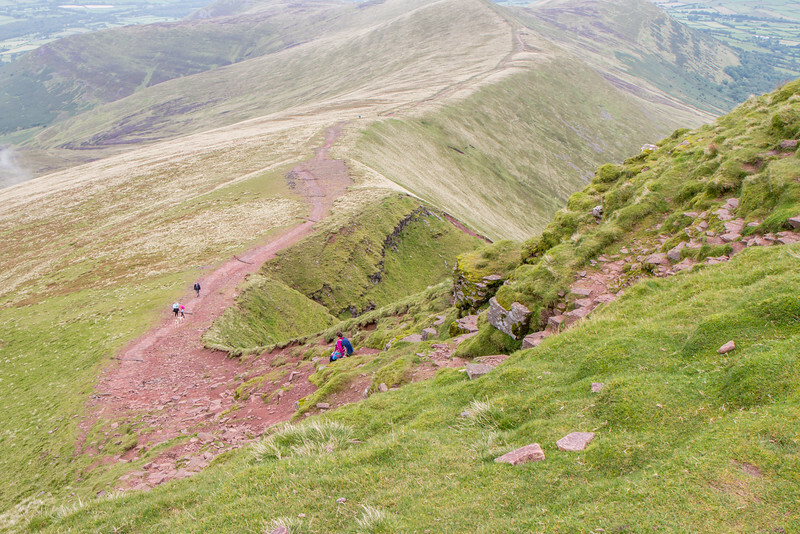 We opted for the classic circular route to the top of Pen y Fan and back. This was about 7 km long and took us around 3h and 30m, with time to stop, admire the view and, obviously, take the pictures you’re seeing right now. 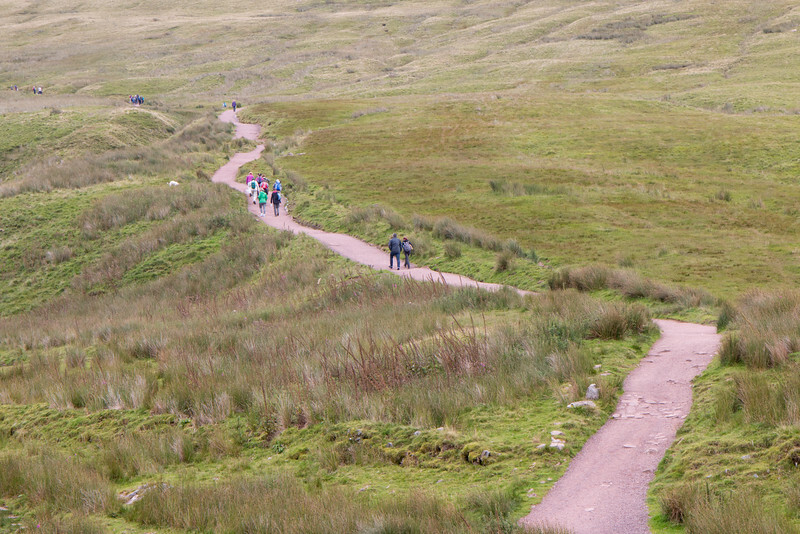 This route starts and ends at Pont ar Daf car park (close to Storey Arms). It gets quite busy here, with the car park more than often reaching its limit, especially during the summer months. We visited late Summer and because the weather wasn’t sunny, we found a place to park our car. To make things easier to contextualise, here’s a map with the route with took. The first part of the hike is through a very well-maintained and wide path, often dubbed “the highway”. It climbs steadily to Bwlch Duwynt (Windy Pass in Welsh). This is when the views start to appeal. Beautiful mountain landscape everywhere we looked. 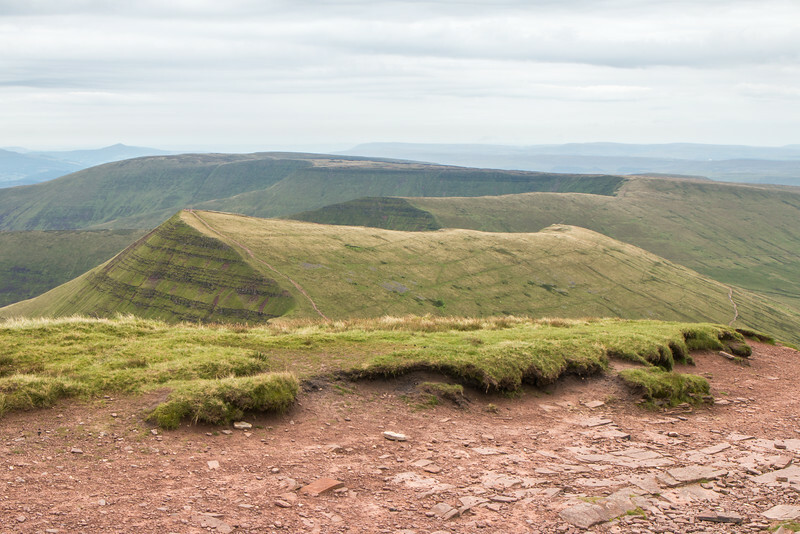 From this point both Corn Du and Pen y Fan can be seen, with the first closer in the distance. 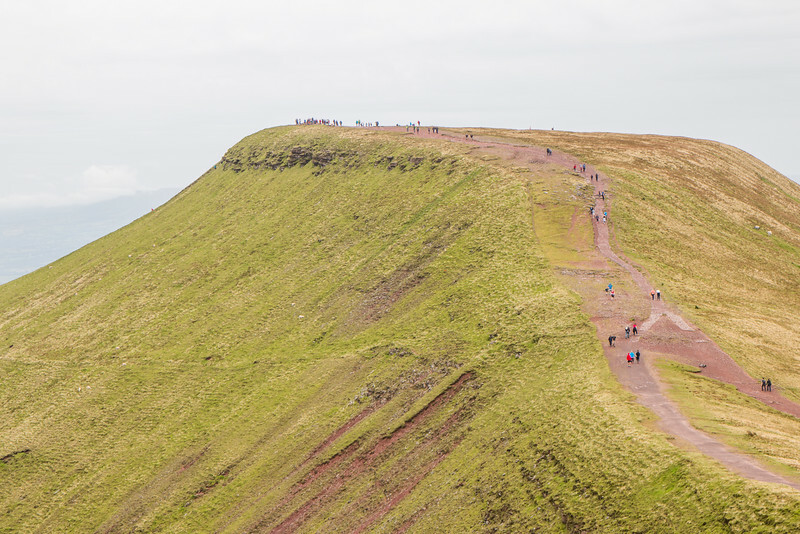 Instead of going up, we went on the slope of Corn Du and then straight to the top of Pen y Fan. Once at the top, there was a bunch of people queueing to take a picture at the cairn that marks the height of the peak. Not wanting to wait much, we wandered around admiring the view and getting our rain jacket on since it had started raining. After a few minutes, we eventually got our picture taken as well. It was time to go back and the final stop before the descent was Corn Du, the twin peak. With the weather clearing up, it was now possible to see the super green valley down bellow. 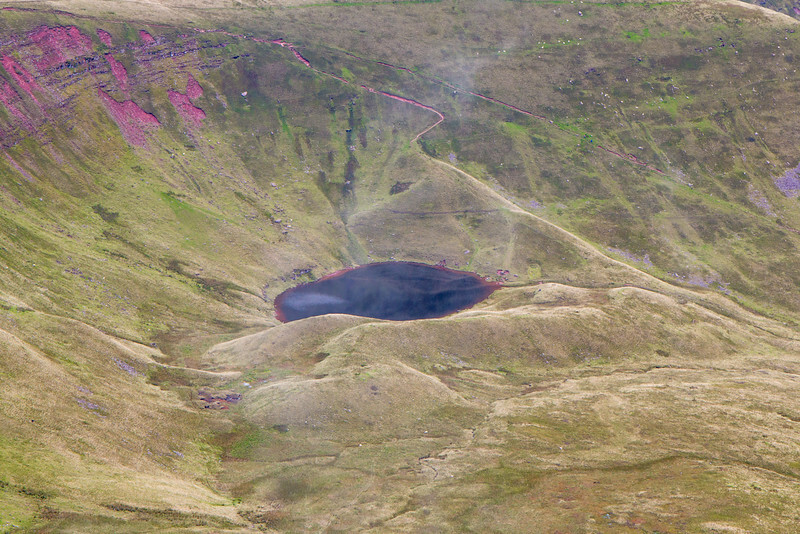 From the top, there is a privileged view towards Llyn Cwm Llwch, the small pond beneath the mountain. Because we decided to do the circular route, we had to go down a different path. It starts right bellow Corn Du and the initial descent is quite tricky, as in steep and a bit slippery. There’s a small stream to cross but the rest is mostly easy. Remember that while this is not a technical hike, it’s not a walk in the park and you’ll still be going up a mountain! The weather can change rapidly and it’s best to be prepared. We recommend bringing appropriate footwear and clothing. Hiking boots and a rain/wind jacket are a must, even in the summer. Also, don’t forget to bring water and a light snack. 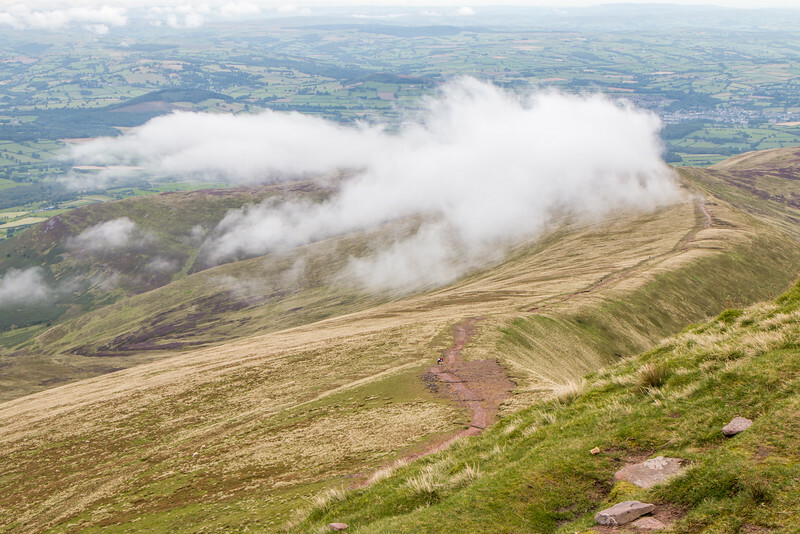 It’s convenient to stay close by if you want to hike Pen y Fan early in the morning. 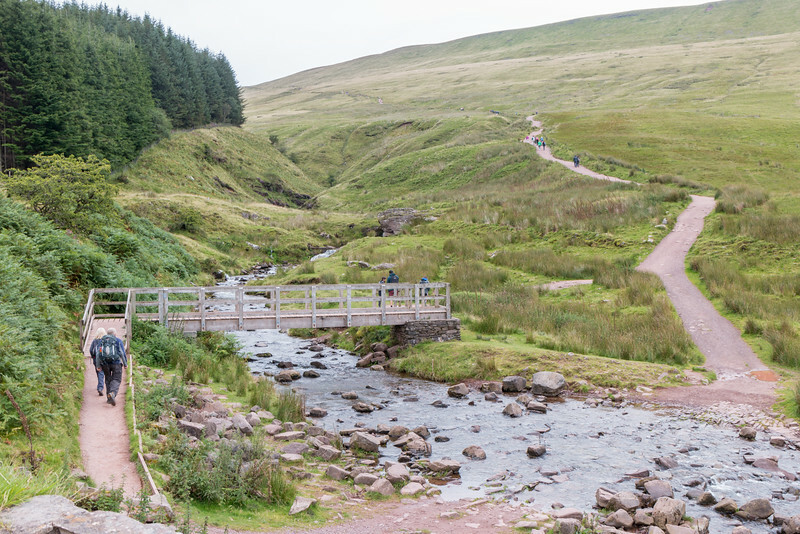 We stayed in Brecon, a small town within the National Park limits which offers accommodation not far from where the hike starts. Do you enjoy hiking? 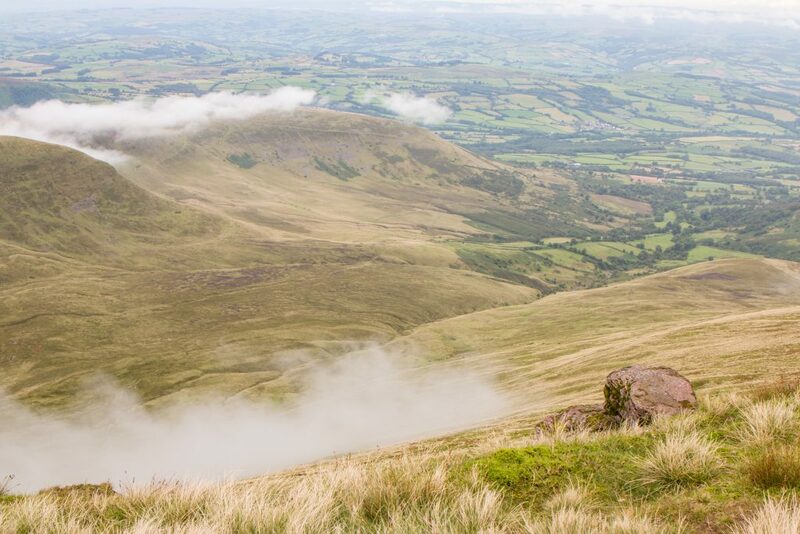 Have you been to Wales to summit Pen y Fan? It is! We wish we had spent more time there exploring the National Park. Thank you for the useful information and the lovely pictures. I’m planning to do this in September.